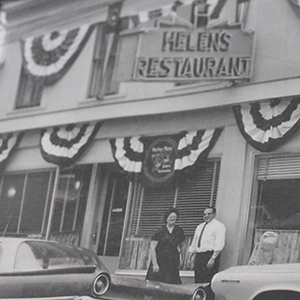 Helen’s Restaurant opened for business in 1950 and has been serving their award-winning homemade pies (made fresh daily) and homestyle cuisine ever since. From Grandma’s pot roast to the freshest Maine seafood, our pleasant staff is looking forward to welcoming you “Almost Home”! 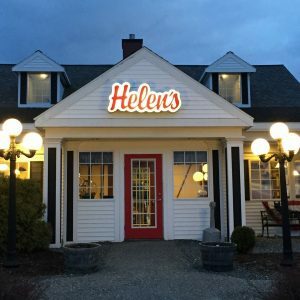 Helen’s is proud to use seasonal, fresh, and local ingredients in our meals whenever possible. 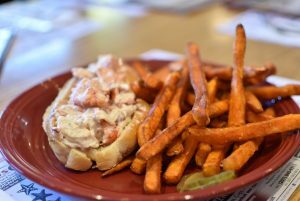 You’ll find us at 55 Downeast Highway in beautiful Ellsworth, Maine. The graham cracker pie is to die for! From out of state and was first time eating here. Great little gem. Best wild blueberry pie on earth served by friendly food servers! O.M.G. Yum! Dinner was amazing, but skip iy and go straight to PIE! Service was fast and attentive even though they were really busy. This was my first visit, but it won’t be my last! My favorite place to go when I travel back to visit family. The blueberry pie is the best ever! Awesome fish & chips!! I love the coleslaw, too! Always leave feeling full, but always room for blueberry pie!! We enjoyed this place very much! Excellent service excellent food !!! Scallops were totally amazing! Very good prices!! So if you’re ever in Ellsworth ME stop in and have some dinner !!!! !